Mother Nature was tough on Burgundy in 2016. She naturally reduced yields with damaging frost and hail. For many experts the 2016 white Burgundies are the result of an outstanding, perfect combination, of ripeness, freshness and concentration. In some sub-regions the frost and hail reduced production by 30%, and in some areas up to 50%. This small production has yielded lively, intense, yet well balanced whites with great aging potential. Many 2016 white Burgundies merit our attention and should find their way into our cellars. A few days ago @Les Conseillers du Vin a group of 16 experienced tasters analyzed seven (7) 2016 white Burgundies plus a mystery wine in the usual blind tasting format. In 2015 Burgundy produced high quality whites with amazing elegance for such a warm vintage. The hot summer produced full flavoured chardonnays with surprising acidity and a charming velvety texture. The producers that managed to preserve acidity, crafted wines that should stand the test of time for a decade or so. A selection of youthful high quality 2015 whites tasted in Burgundy showed remarkable consistency. Many elite white Burgundies arriving in our market offer a much better quality/price ratio than their counterpart reds. As usual a group of 16 experienced tasters analyzed seven (7) 2015 white Burgundies plus a mystery wine in the usual blind tasting format. To better understand this vintage it must be mentioned that high acid content in whites is trendy. Many wine writers and sommeliers tend to give better scores to whites displaying higher acid content. This trend has pushed some producers to harvest earlier, or to block/skip the malolactic fermentation to keep sharper acidity in their wines. Many of the participants at this tasting were surprised by such high acid content, in what is reputed to be a fairly warm vintage. Most experts agree, this very high quality Burgundy vintage produced amazingly charming ripe reds. A very warm vintage offering deep coloured Burgundies bursting with ripe berry flavours and velvety tannins. According to Revue du Vin de France: because of low yields, quality is outstanding. Reds with great aging potential that will surprise many Burgundy afficionados (17/20). During my last visit to Burgundy (2017) the 2015 Crus tasted were quite rich, full and very seductive. The key, was the tail end of the growing season (very warm and sunny), producing perfectly ripe and healthy grapes. At Les Conseillers du Vin, we decided to evaluate this potentially great Burgundy vintage by tasting a selection of wines from reputed producers to assess quality level and aging potential. As usual a group of 16 experienced tasters analyzed seven (7) red Burgundies plus a mystery wine in the usual blind tasting format. 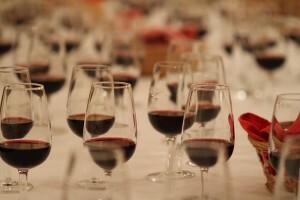 2011: A HOT YEAR FOR BRUNELLO! 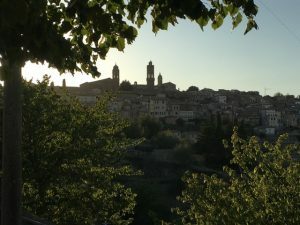 The Montalcino terroir dealt well with the heat and drought of the 2011 summer growing season. In fact Montalcino faired much better than its neighbor Chianti Classico. According to many experts, the region produced Brunelli that offer ripe flavors with soft tannins for extended aging potential. Full bodied reds with jammy flavors and soft textures all while maintaining good balance. Are these fine Sangiovese reds already charming and drinkable ? 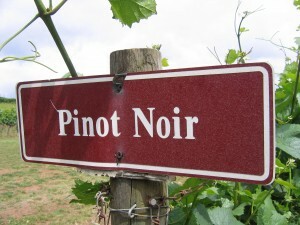 Do these full flavoured, elegant terroir wines display fruit maturity and richness as expected ? At Les Conseillers du Vin, we decided to taste a selection of wines from reputed producers to verify the aging potential, richness and balance of this very good Brunello di Montalcino vintage. How long should we leave these fine Brunelli in our cellar? And how much should we pay for these high quality Sangiovese based reds? A group of 16 experienced tasters analysed 7 Brunelli plus a mystery wine in the usual blind tasting format. Results: Overall the wines faired well, but not as consistent as hoped. To establish the order of preference of the tasting panel, 3 points were awarded to a first place vote, 2 pts for a 2nd place vote and 1pt for a 3rd place vote. 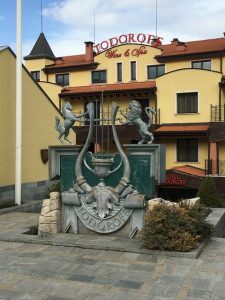 Although wines have been produced in Bulgaria for thousands of years, only recently, following the collapse of the communism regime, has a quality revolution been on the move. I recently visited this beautiful country and would like to share with you the latest trends in this booming wine industry. As a wine producing country, Bulgaria is quite small, with only 60,000 hectares of vineyards, half the size of Bordeaux. Forty plus grape varieties are planted, divided equally for white (22) and red (22). Slightly over 60% of the vineyard is planted to red, with international varieties such as Cabernet Sauvignon and Merlot dominating (30%). Local red grape varieties such as Mavrud, Melnick 55 and Rubin remain important for quantity and quality wines. As for whites, indigenous varieties like Dimyat, Misket and Buket complement the classic international gapes Chardonnay and Sauvignon Blanc. In the center of the Haut-Médoc, the commune of St-Julien produces elegantly structured wines. With eleven (11) Crus Classés (Classification de 1855 du Haut-Médoc), St-Julien is amongst the best quality communes of Bordeaux. With many top Chateaux, the competition for top dog in St-Julien is fierce. Both Châteaux Léoville-Barton and Lagrange are usually in the running. 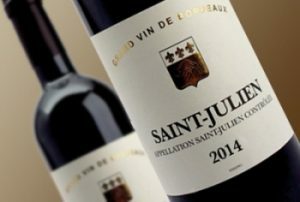 This tasting was a unique opportunity to compare 4 vintages of two reputed Chateaux from the high quality commune of St-Julien. @ Les Conseillers du Vin, in the usual blind tasting format, a group of 16 experienced tasters analysed/compared four (4) vintages of both Chateaux. At this point one must remember that wines from the late 80’s and 90’s were not produced with grapes as ripe and concentrated as today’s more recent vintages (2000+). Wines from that era usually offer higher acidity and firmer tannins and tend to be fresher, leaner and more elegant. SUN DRENCHED 1998 SOUTHERN RHÔNE REDS! 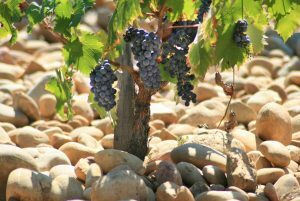 From the outset, experts unanimously hailed the 1998 Southern Rhône harvest, as vintage of the century. La Revue du Vin de France: the 1998 Southern Rhône vintage produced «wines of anthology» (Score 19/20). The wines were labeled as bursting with ripe fruit, depth and excellent aging potential. Originally these intensely fruity wines pleased fans of rich, velvety, full bodied Grenache dominated reds. At age 20, has some of the fruit faded? Are the wines holding up to the hype? @ Les Conseillers du Vin, a group of 16 experienced tasters analyzed eight (8) 1998 Southern Rhône reds, dominated by the Châteauneuf-du-Pape appellation. In the usual blind tasting format, the goal of this tasting is to verify the evolution, richness and balance of this excellent Southern Rhône vintage. Should we drink up or leave these fine reds in our cellar for a few more years?